This is a time of far-reaching change and debate in American education and social policy, spurred in part by a rediscovery that civil-society institutions are often better than government at meeting human needs. 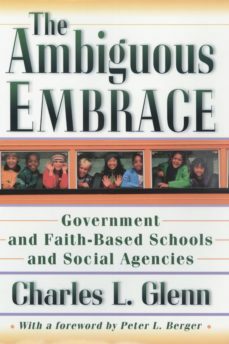 As Charles Glenn shows in this book, faith-based schools and social agencies have been particularly effective, especially in meeting the needs of the most vulnerable. However, many oppose providing public funds for religious institutions, either on the grounds that it would threaten the constitutional separation of church and state or from concern it might dilute or secularize the distinctive character of the institutions themselves. Glenn tackles these arguments head on. He builds a uniquely comprehensive and persuasive case for faith-based organizations playing a far more active role in American schools and social agencies. And, most importantly, he shows that they could do so both while receiving public funds and while striking a workable balance between accountability and autonomy.Glenn is ideally placed to make this argument. A leading expert on international education policies, he was for many years the director of urban education and civil rights for the Massachusetts Department of Education, and also serves as an Associate Minister of inner-city churches in Boston. Glenn draws on all his varied experience here as he reviews the policies and practices of governments in the United States and Europe as they have worked with faith-based schools and also with such social agencies as the Salvation Army and Teen Challenge. He seeks to answer key theoretical and practical questions: Why should government make greater use of faith-based providers? How could they do so without violating First Amendment limits? What working relationships protect the goals and standards both of government and of the organizations that the government funds? Glenn shows that, with appropriate forms of accountability and a strong commitment to a distinctive vision of service, faith-based organizations can collaborate safely with government, to their mutual benefit and that of those they serve. This is a major contribution to one of the most important topics in political and social debate today.